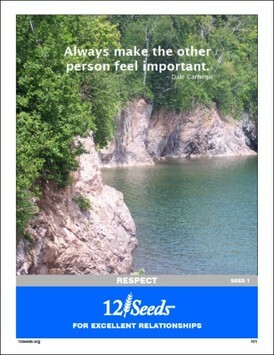 Use with the 12 Seeds Book and share with others! 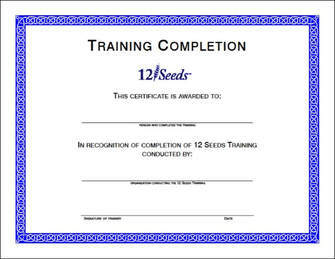 We have over 30 training tools to help people learn and practice the 12 Seeds. 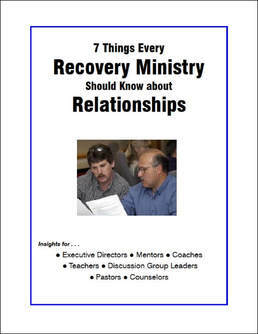 7 Things Every Recovery Ministry Should know about Relationships Newly revised for recovery ministry leaders! Recovery ministry leaders are in a prime position to positively influence many relationships for the benefit of their ministries and each person involved. This six-page article gives some reasons why wise leaders focus on relationship development at all levels. 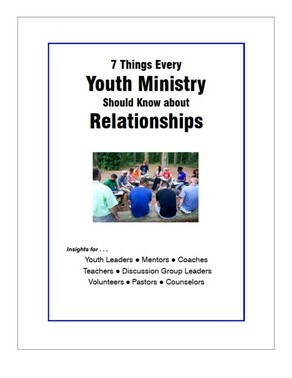 ​Newly revised for youth ministry leaders! Youth ministry leaders are in a prime position to positively influence many relationships for the benefit of their ministries and each person involved. 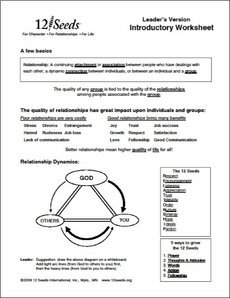 This six-page article gives some reasons why wise leaders focus on relationship development at all levels. Leaders are in a prime position to positively influence many relationships for the benefit of their organizations and each person involved. 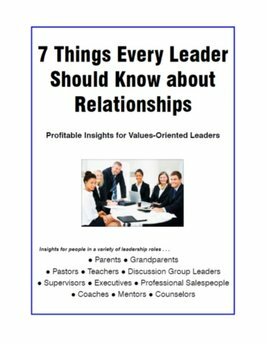 This six-page write-up gives some reasons why wise leaders focus on relationship development at all levels. 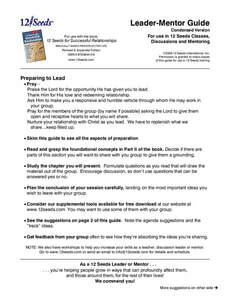 This 2-page guide includes all you need to know to get a 12 Seeds class, group or mentoring relationship going. Even if you've never led a group, or if you want to rotate leadership among members of your group, this guide will help you get started and get everyone involved. 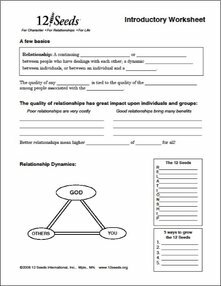 This simple worksheet is a good way to introduce a study of relationships to your class or group. Includes a leader's guide that gives you answers to the fill-in questions and enables you to concentrate on what members of your group are saying. Tip: print the worksheet on white paper and the leader's guide on colored paper to make it easy to keep the leader's guide separate from the worksheets you give your group. The leader's guide gives you answers to the fill-in questions and enables you to concentrate on what members of your group are saying. 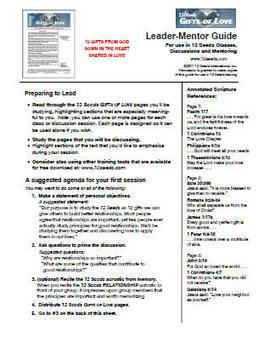 Tip: print the leader's guide on colored paper. This makes it easy to keep it separate from the worksheets you give your group. This is an easy to use match up exercise that gets people thinking about the 12 Seeds, what they actually mean, and the needs that each seed helps fill. The exercise can reveal to a person which seed or seeds they may need to better understand. When completed, the sheet can be folded to form a bookmark to be kept in the 12 Seeds book. ​The leader's guide gives you answers to the fill-in questions and enables you to concentrate on what members of your group are saying. ​ Quiz 4 matches each seed with the needs they help fill. 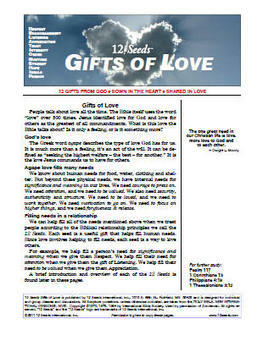 This guide has over 140 Bible references arranged by seed. Includes brief descriptions of each passage. Very useful if you're leading a study or discussion of a particular seed. Also helpful for personal study. This reference collection works well with the 3-up Scripture Study Sheets, below. half-sheet reminder lists 5 life-changing habits that help grow the 12 Seeds. This comes 2-up on 8.5" x 11" paper. It can be used as a bulletin insert, study sheet or bookmark. Transforming Relationships is also available in a business card size, so you can keep as a reminder in your pocket, purse or wallet. It can even be printed on the back of your business cards as a reminder of the core values of your organization. 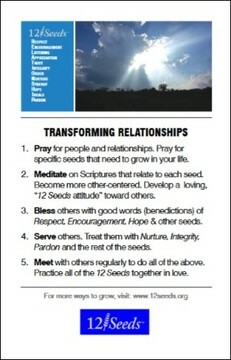 This small card gives you five ways to implement growing the 12 Seeds. These cards are 10-up on an 8.5" x 11" sheet. Trim to 2.5" x 3.5" cards. This 4-page folder is designed to be used with the 12 Seeds book. It's a 30 day or 30-unit experience in learning and applying the 12﻿.﻿Seeds. Takes you step-by-step through the book. Inside has check-offs for each day. Enhances individual and group study. This course guide makes a useful bookmark and is great for individual study, accountability relationships, classes and discussion groups. Working on all 12 Seeds at once can be overwhelming! The Grow One! Personal Seedgrowing Guide helps you focus on one seed at a time. First developed in 2008, we've updated this handy tool. It can be used as a type of "relational triage" to determine which seed you most need to work on. There's also space for you to write out specific things you can do to grow the seed. 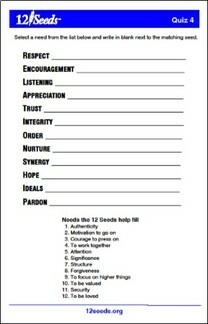 Works well for accountability relationships.
. . . but I can work on one!" This Grow One! Personal Seedgrowing Guide is similar to the one above, but can be used in a general business setting. Use this tool as a type of "relational triage" to determine which seed you most need to work on. There is also space for you to write out specific things you can do to grow the seed. Works well for accountability relationships. 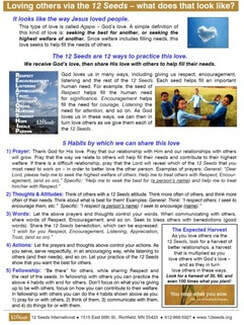 by which we can share God's love with others. It can be useful for individual or group study. 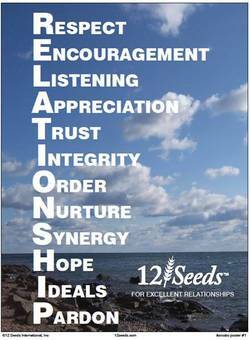 As you love others via the 12 Seeds, look for a harvest of better relationships! 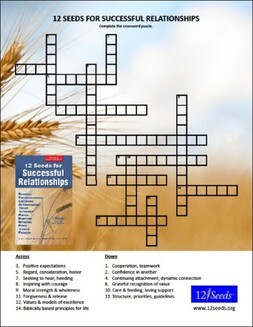 Enjoy a crossword puzzle as you relax at the end of the day, or use this with the 12.Seeds book as a teaching tool for children or adults. The crossword puzzle comes in two styles: one with a design background and the other plain white. Both styles come with answer sheets. 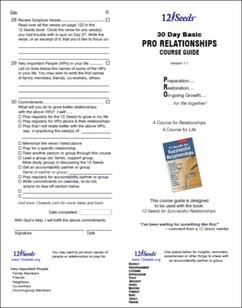 12 Biblical principles for healthy relationships. 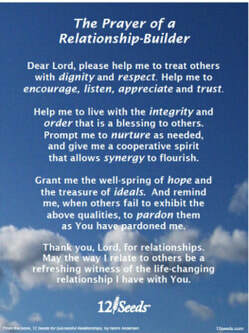 It is not only an inspiring prayer, but also a great way to plant the 12 Seeds in your home or office. 12 Seeds acrostic, 8.5" x 11" size. Click on the image to view all 7 posters. Download and post them on bulletin boards, refrigerators and elsewhere to help plant the seeds in the minds of people you care about. This colorful series of 12 posters features some of our favorite places along the North Shore of Lake Superior. These attractive posters each highlight one of the 12 Seeds. They can brighten any space while helping you focus on the seeds. ​Print them on 8.5 x 11 paper. ● Provide a positive work and family culture. ​ at home and in the community. ​ Bookmark comes 6-up on 8.5" x 11" paper. 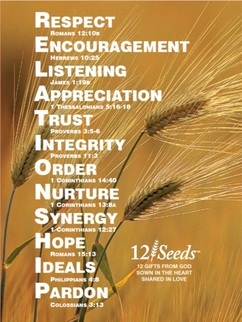 12 Seeds, their key definitions, along with a Bible verse reference for each seed. 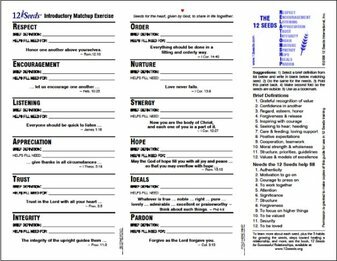 Use as you study the 12 Seeds book or the Journal-Workbook. Makes a nice gift for friends. Bookmark comes 4-up on 8.5 x 11 paper. Cut to yield 2.75" wide. This series of three bookmarks reminds people of the Powerful Growth Formula based upon Colossians 3:12-14. It goes deeper into the definitions of each personal virtue that helps relationships grow. 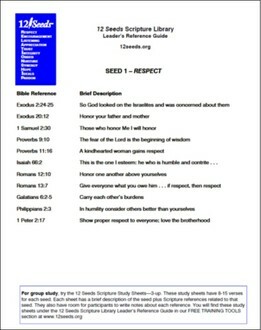 Pick your favorite to use as you study the Bible, the 12.Seeds book, or the 12 Seeds Journal-Workbook. Share them with family and friends. The downloadable bookmarks come 3-up on 8.5" x 11" paper. ​Print and cut to your specifications. This bookmark reminds people of the Powerful Growth Formula that helps relationships grow. 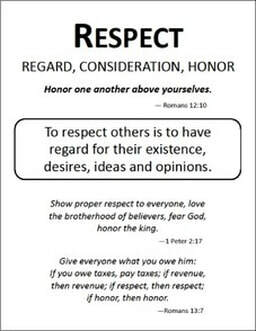 It is based on Colossians 3:12-14. 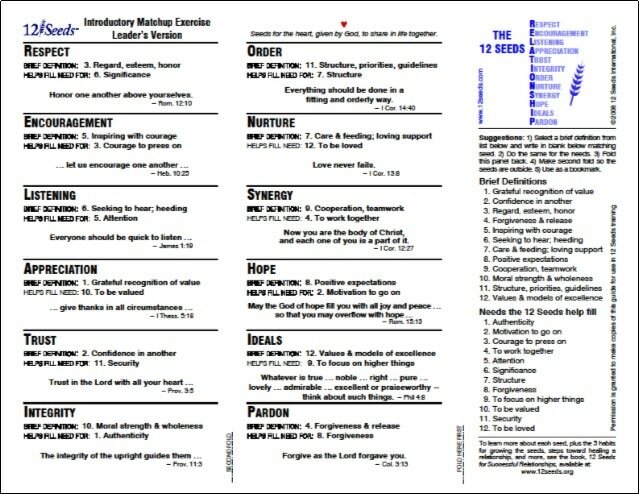 Use this as you study the Bible, the 12 Seeds book or the 12 Seeds Journal-Workbook. It also makes a nice gift for family and friends. The bookmark comes 5-up on 8.5" x 11" paper. Print and cut to your specifications. Watch for more tools that will be added in the future!